Apple is more than just a number of beautifully designed computers, phones and now watches. Magic begins when all these devices start working as a system. So, in fact, there is nothing easier then downloading of photos and videos from iOS to Mac and vice versa. And, of course, it hurts when doing this with a PC. Anyway, connect your iPhone with the USB cable and let’s begin! 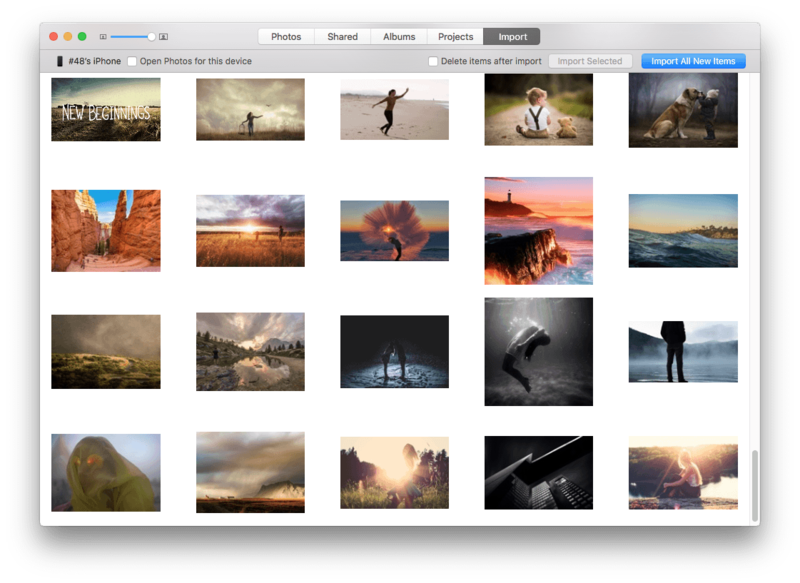 There are 2 applications pre-installed with OS X one can use to transfer photos from iPhone to MacOS X: Photos and Image Captures. Image Capture basically does one thing – copying. Also you can delete your files afterwards. Photo-transferring in photos is not more complicated either. Note that the app copies photos to a special system folder “Photo Library” (that can be however changed in Preferences). Once photos being replaced, the app creates a special album. That simple. You can also use Photos app for edits similar to iPhone or add specific extensions. Unlock your iPhone if it is necessary. Make sure PC is trusted by the device. Launch Start menu and select Computer. Right click on image of appeared iPhone or iPad. Specify importing settings by choosing folder paths to import photos and videos. How to clear iPhone Storage? You can use a free application by Nektony Phone Cleaner, that helps to find and remove the largest media files on iPhone and files, that have been already copied to your Mac.